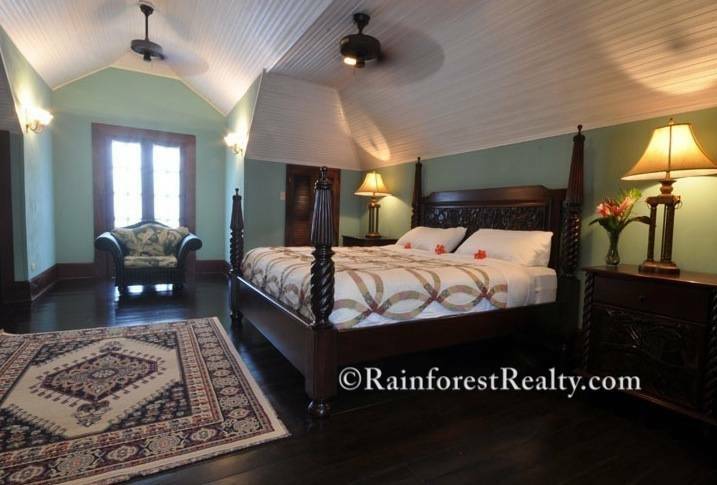 $ 1,350,000 USD : Belize Boutique Resort for sale offers exquisite accommodations for your guest. 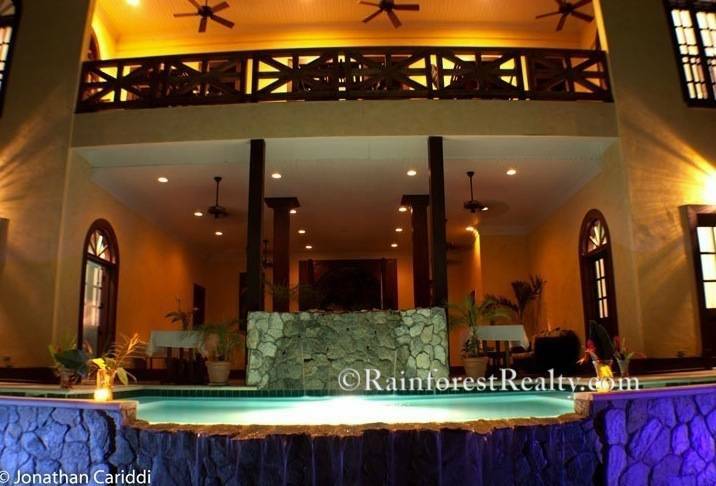 This resort is an opportunity to own both the real estate and a business in Belize. This Belize Boutique Resort has all the luxury amenities and is situated on one of the most sought after parts of the Mopan River. 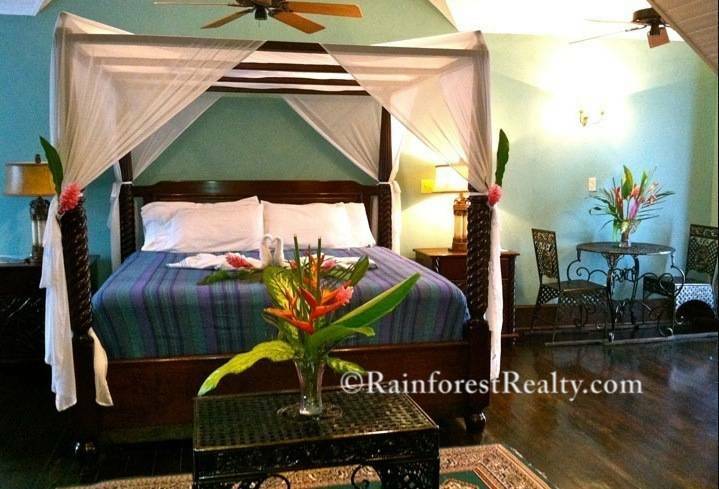 Contact Rainforest Realty for a showing and get started on your Belize adventure today. 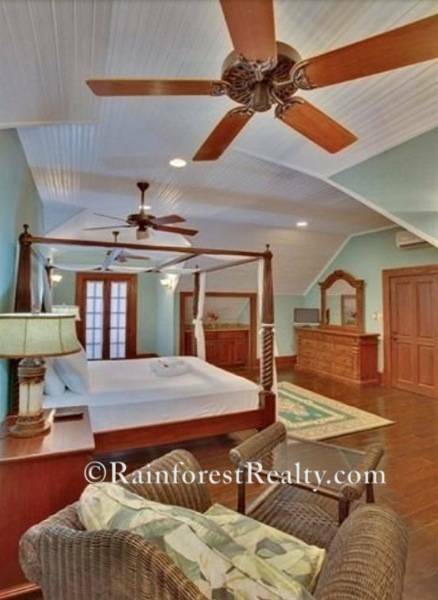 This Belize Boutique Resort for sale offers exquisite accommodations for your guest and resort visitors. 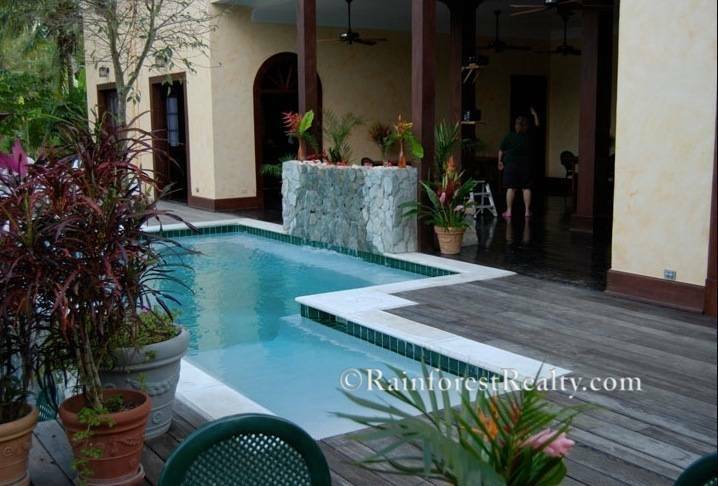 NOTE: View the Belize Boutique Resort VIDEO at the bottom of this description! 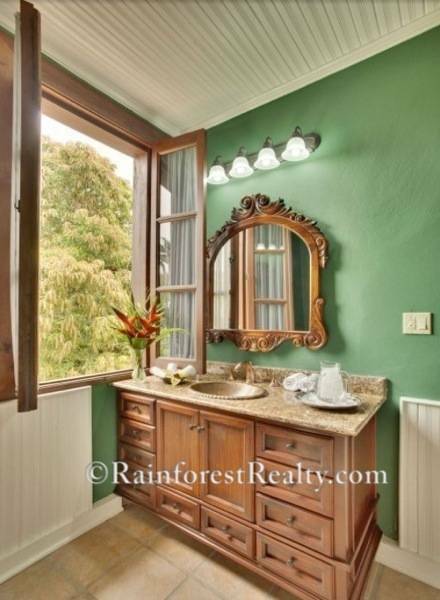 With 10,000 square feet of pristine beauty, this Boutique Resort offers an abundance of amenities and tranquility for its guest. 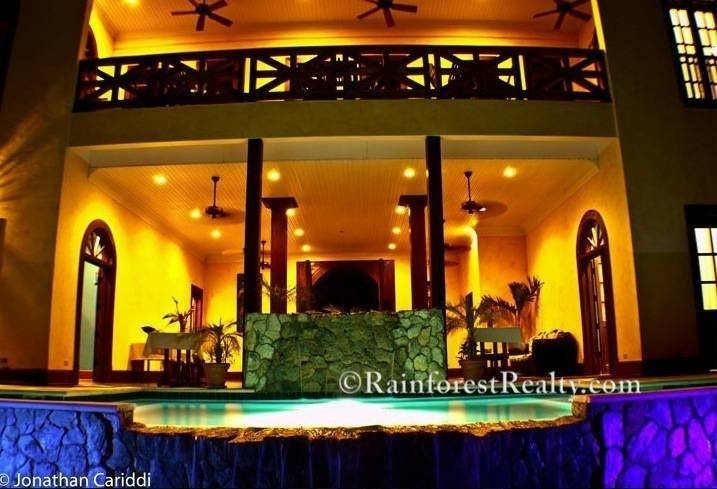 Trip Advisor awarded this resort with its 2016 Certificate of Excellence. 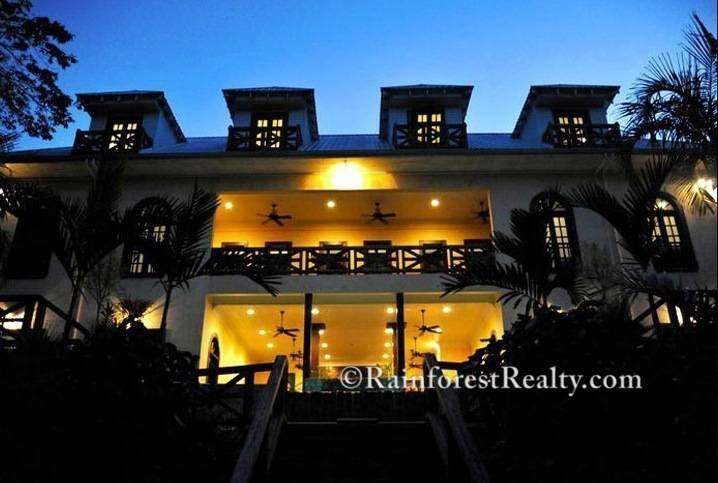 This Boutique resort has all the fine and luxurious offerings while being situated on one of the most sought after areas of the Mopan Riverfront. 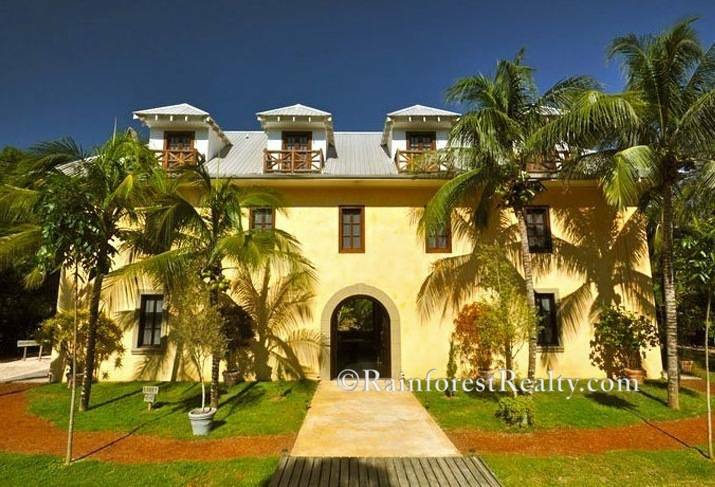 This Luxury Resort is designed as a unique colonial style mansion and features the finest and most luxurious suites in the Cayo District. 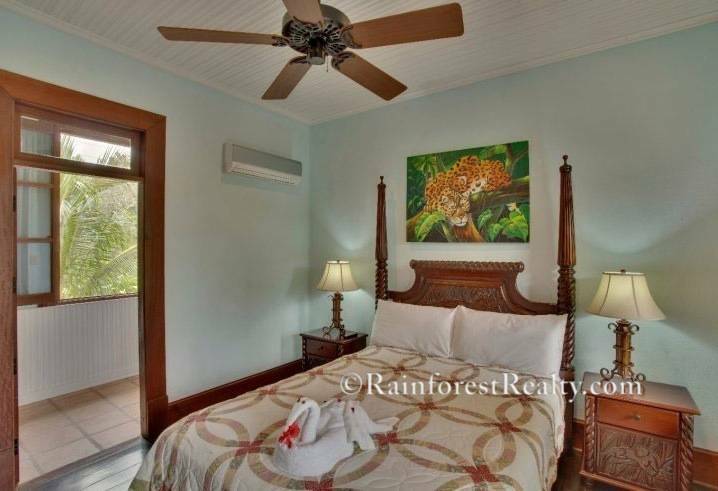 It offers 8 comfortable and spacious accommodations and is an ideal base for weddings, honeymoon vacations, and family reunions. 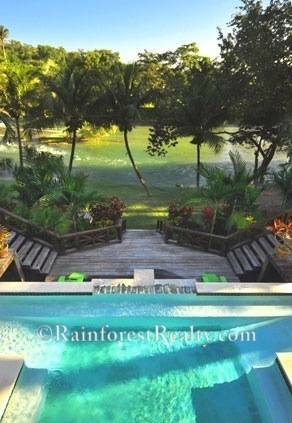 The resort is also a great location for executive retreats. 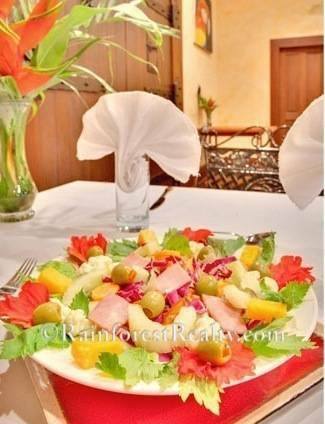 On the first floor, there is the dining room, office area with a functional fireplace, the Fabulous Professional Kitchen, Restaurant and Bar. 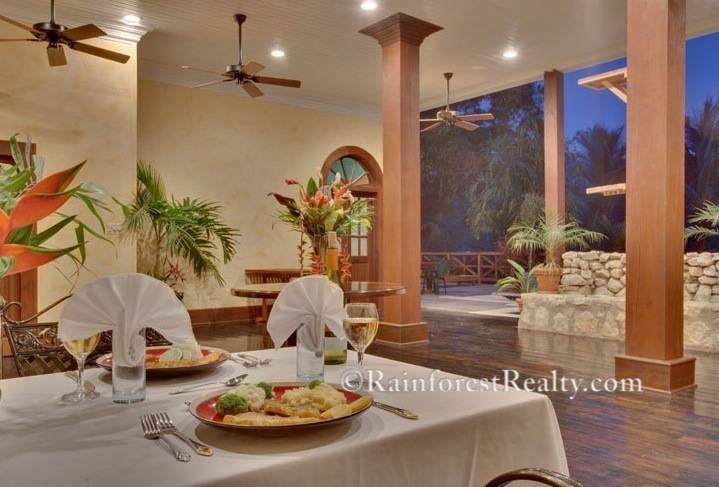 The restaurant and bar features comfortable furnishings ideal for relaxation at the bar or starlit dining with river view on the veranda. 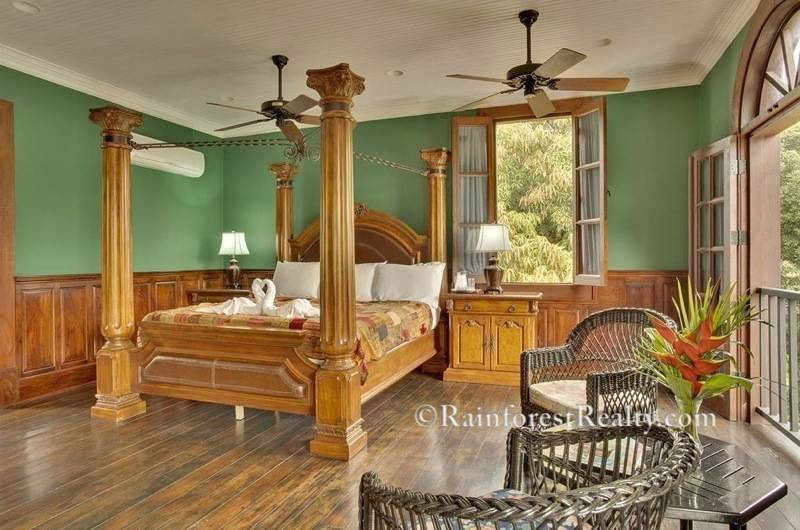 All rooms and suites offer breathtaking river and canopy views, hand carved mahogany beds, 10 feet high ceilings, and tropical hardwood floors. 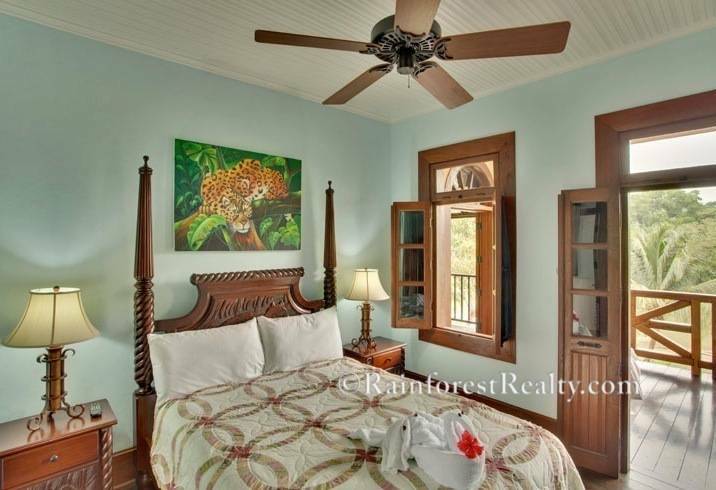 The rooms are furnished with intricately hand carved queen sized mahogany beds. With sleep-inducing cloud nine mattresses, you will find yourself resting in tranquility. Independently operated air condition in every accommodation. 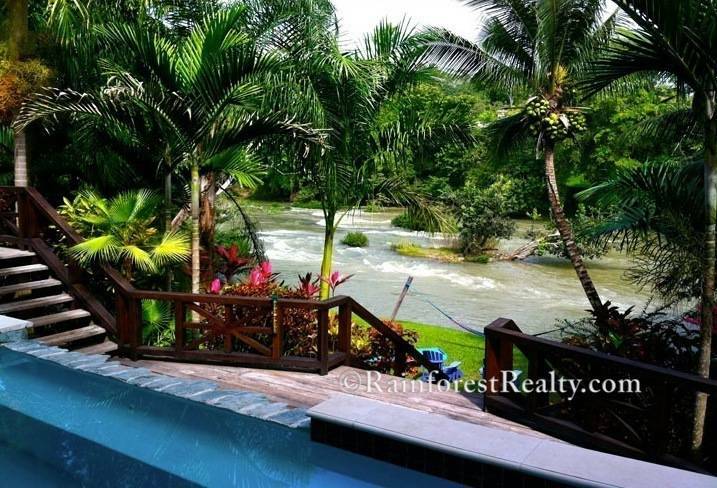 Cool off in the infinity pool complete with waterfalls or jump into the Mopan River and ride the rapids via kayak or inter tubes. 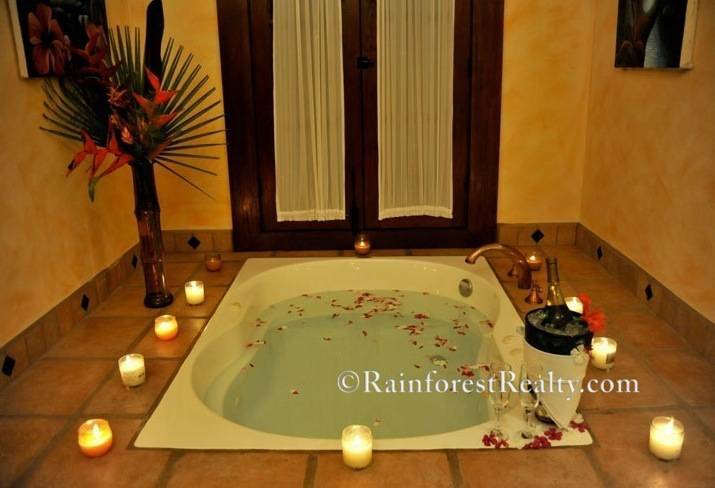 Not only will this cool you off, but it is great fun and enjoyment for your guest, friends and family. 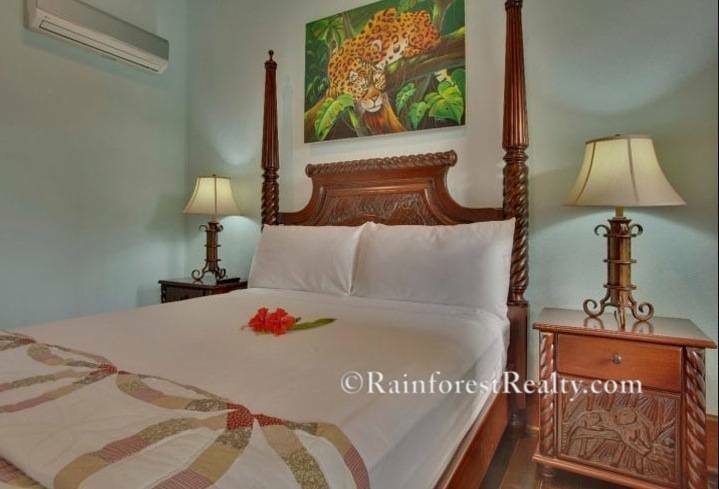 Location is key: Easy access to nearby caves, nature reserves, and ancient Maya sites and the mystical Mayan underworld. 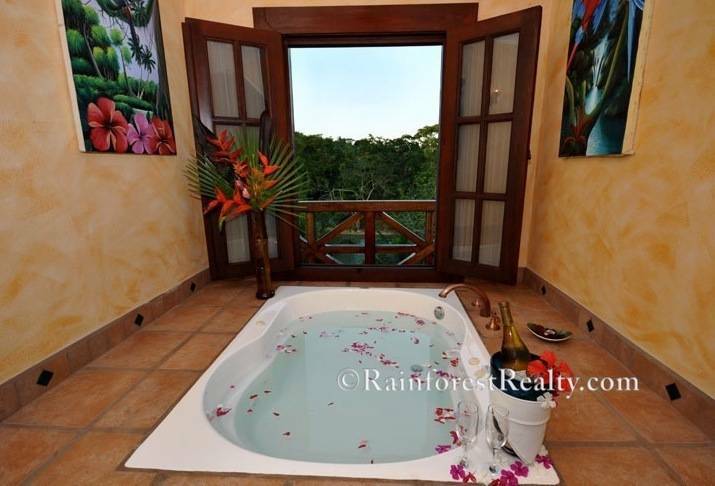 Your clients will enjoy the near by cave tubing, hiking the Mayan Ruins, horseback riding, visiting the farmers market and many more activities the Cayo District has to offer. 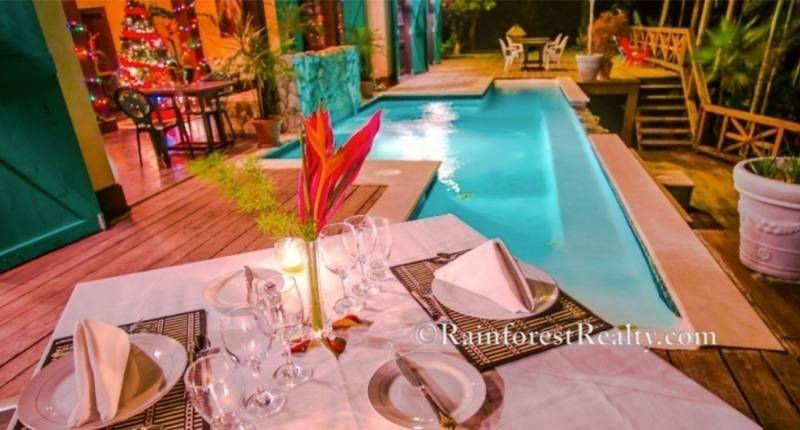 The location of this resort attracts two different varieties of Toucans, Amazonia parakeets, and four different species of parrots when they make their daily breakfast visit on the nearby ‘Stinking Toe’, Bukut tree. This is a birdwatchers paradise. 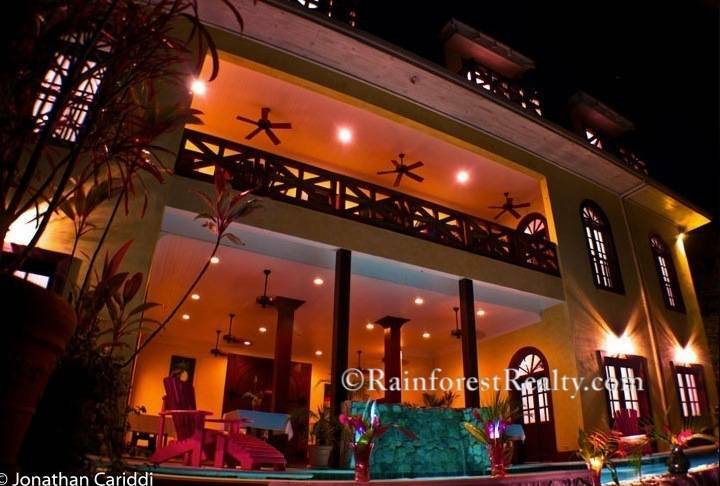 Located in Bullet Tree Falls on the Paslow Falls Road this resort is close to all amenities yet far enough away to feel like you are staying deep in the jungles of Belize. 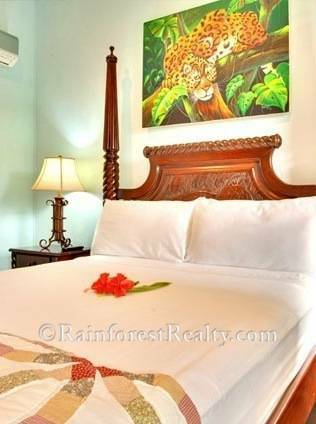 Experience all the sounds of the jungle with the wildlife and the flowing river rapids as you rest on the verandah or your private balcony. 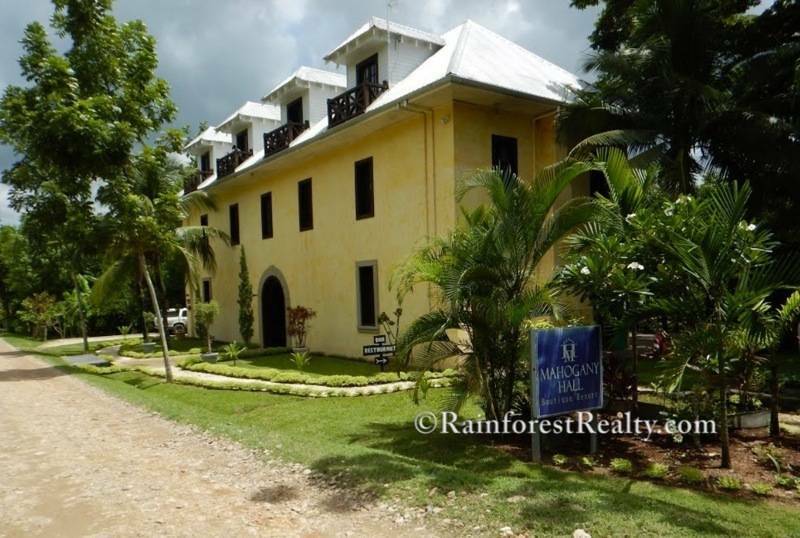 Getting to the resort is an easy 1.5 hour drive from the international airport or fly the regional airlines for a short 35 min flight to Maya Flats not far from this resort. Call us for a viewing of this amazing opportunity. 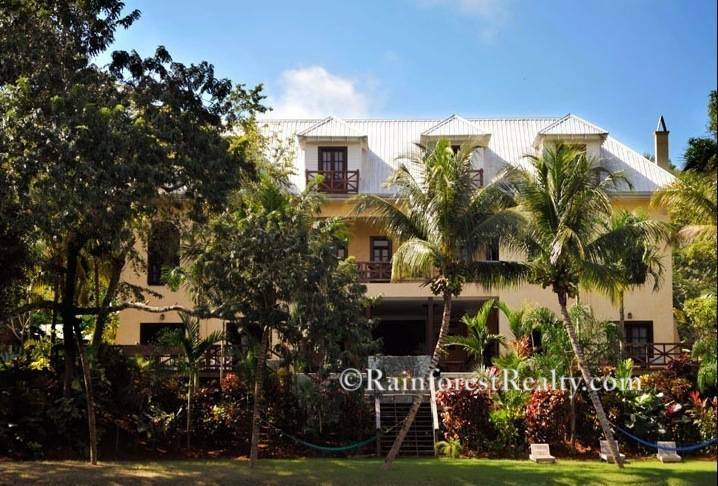 Contact us here for more information about this property listing.